As a new school year is upon us, so is another awesome year of mid-week discipleship. Following worship service on August 19, head over to the TLC for a covered-dish lunch and the Tabernacle Ministry Fair, to gain information about areas in which you may serve. The church will provide the meat, rolls, and drinks. Bring enough side dishes and dessert to feed your family group. 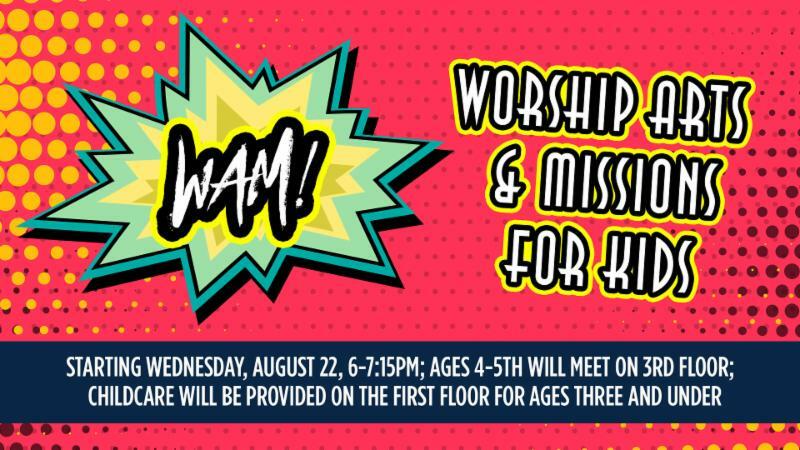 In addition, on Wednesday, August 22, we kick-off our Wednesday evening discipleship and worship opportunities for all ages. 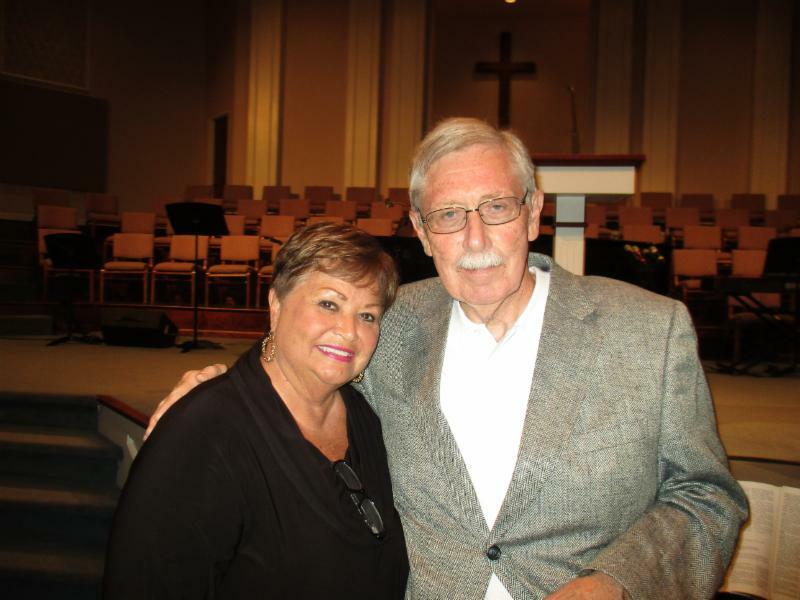 On Wednesday, August 22, new discipleship and worship programming begins for all ages, children through senior adults. We are really excited about a unified schedule: prayer at 4:30 pm, dinner at 5 pm, and discipleship classes at 6 pm. Grab a booklet to view class offerings and sign up! 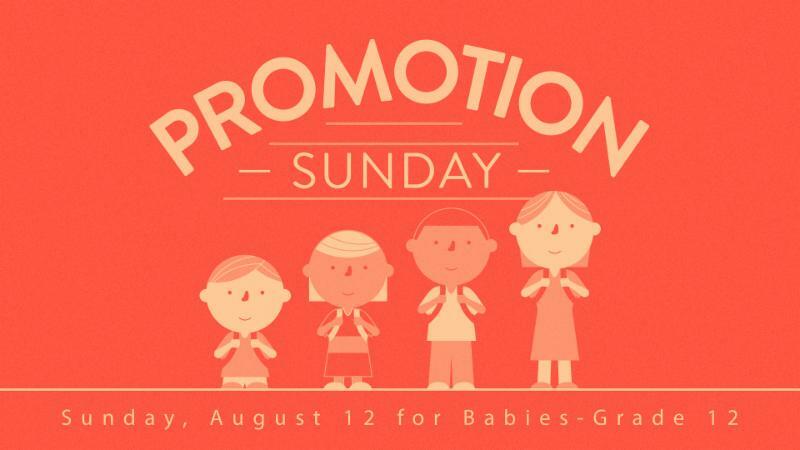 This Sunday, August 12, is Sunday School promotion in the Children's and Student Ministries. Have you ever wondered what it would be like to sing in the choir? Do you have a heart for worship? The Tabernacle Choir is looking for more voices to add to our group this year so we can sing some new music. We would love to have you in the choir regardless of your singing experience and no audition is necessary. Our normal Wednesday rehearsals begin tomorrow, August 8 from 7-8:30 pm. Contact james.kimmel@tabernacle.org for more info. Do you play a musical instrument? We are looking for band and orchestra musicians to help make our worship experiences more diverse. It is our hope to start using this group in worship in late August. 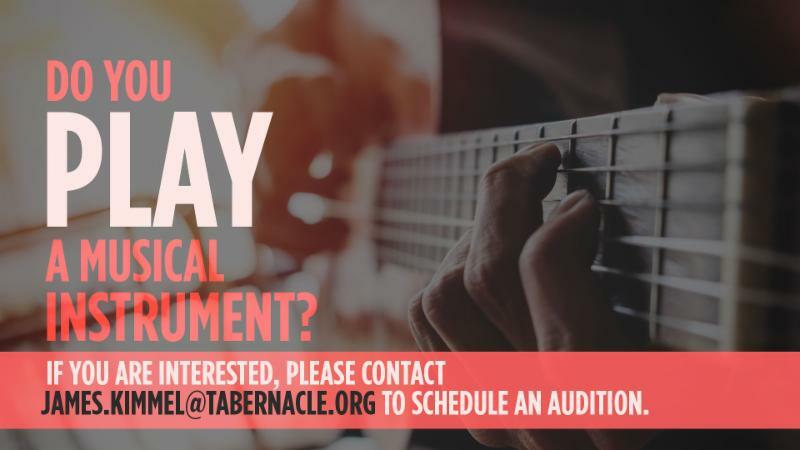 If you are interested, please contact james.kimmel@tabernacle.org to schedule an audition. Have you noticed the clearer picture? We are looking for many more media volunteers to help with our brand new user-friendly video equipment. It takes around seven media volunteers every week to facilitate a worship service and we are planning to expand in the future. Our hope is to build a team large enough so you would only be serving around 1-2 times per month. Also, we are planning to host a training event in August. Contact shirley.humphries@tabernacle.org for more information. 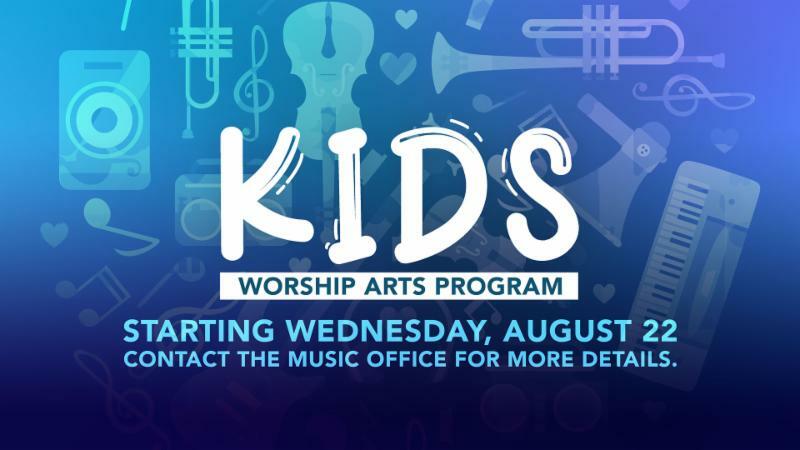 NEW Kids Worship Arts Program! Have you heard about our new Wednesday nights at Tabernacle? We are expanding our Children’s Choir program into our new Kids Worship Arts program. This program is for kids age 4 years old-5 th grade and meets during our Wednesday night adult discipleship classes starting August 22. Each week, our kids will be exposed to singing, playing instruments, drama/puppets, visual art, and movement with hopes of engaging the whole child. In addition to meeting on Wednesday nights, the kids will present concerts and musicals throughout the year for special seasons. Contact james.kimmel@tabernacle.org for more info . We are in need of someone to teach Sunday School in the baby room, mission teachers for the 1st/2nd grade class, and ETC volunteers. 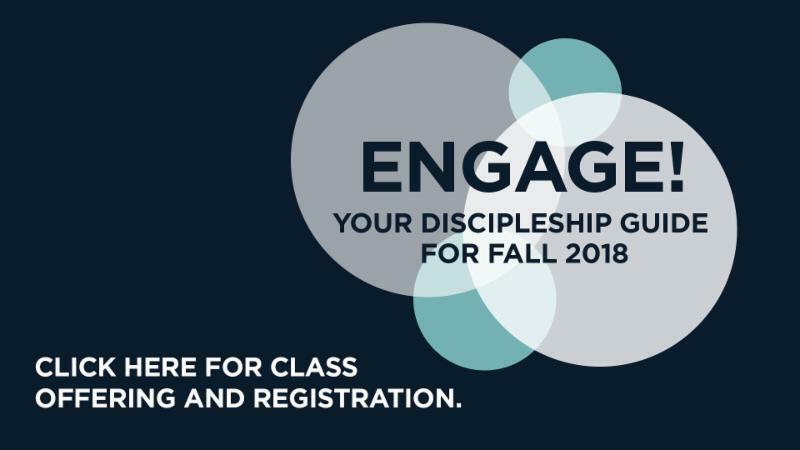 For more information or to sign-up to teach, please contact Crystal Gilley, Administrative Assistant for Children & Students, in the church office. Our children’s activities are designed for babies through 5 th grade. Starting at four years old, our kids have the opportunity to participate in Worship Arts and Missions. During Worship Arts, kids learn to praise God through playing instruments, singing, art, drama, puppets, and movement. Missions Education teaches kids how to pray for and support missionaries around the world, and more importantly, how to BE missionaries. Childcare is provided for children age 3 and under. Open Hands, our community food and assistance center, needs toothpaste and cereal soups (that don't require water). Alice's House, a local children's home, needs all-purpose cleaners, light bulbs, and Lysol spray. Items can be dropped off in the hallway by the Fellowship Hall. For the next three weeks, the Fellowship Hall flooring will be replaced and the room will be repainted. The dividers have already been removed and we look forward to this beautiful new gathering space. Thank you for your generous giving which made this possible! Chef Sandy Huey has accepted the position of Food Services Director. Chef Sandy will be in charge of the kitchen for all food services events. She has already been busy taking inventory and placing orders for the fall kickoff events. 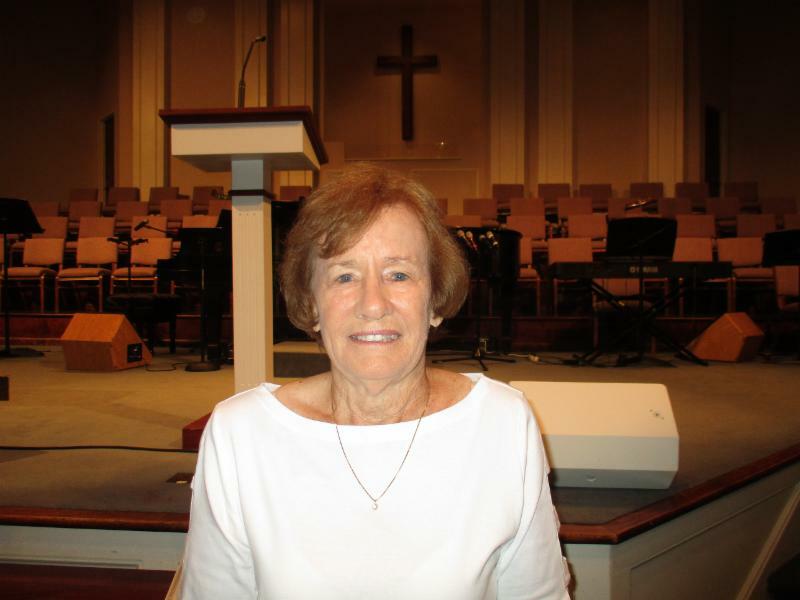 Be sure to make Sandy feel welcome as you see her in the church. Our first Wednesday Night Family Meal is August 22 from 5:00 pm until 7:00 pm in the Fellowship Hall. The cost is $6.00 per adult and $3.00 per child. Reservations are not required, however we encourage you to sign up for the following week, when you pay for the current week, so we have an estimate. The August 22 menu is as follows: roasted chicken quarters, green beans, wild rice, rolls, salad, and dessert. Thank you note has been received from the Carroll County Soup Kitchen and Delene Strickland & Family. 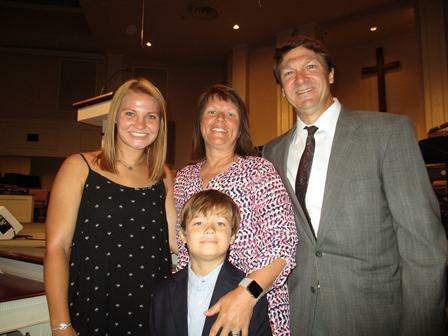 To the family of Cynthia Roberson, our member, who died on Sunday, August 5. The Quarterly Church Conference is Sunday, August 12 at 2:15 pm in the Chapel.